The goal of the SC/MLA Oral History Project is to record the unique perspectives of distinguished individuals within the Southern Chapter in their own words. The project preserves the organizational memory of Southern Chapter events through the words and experiences of accomplished Chapter librarians. 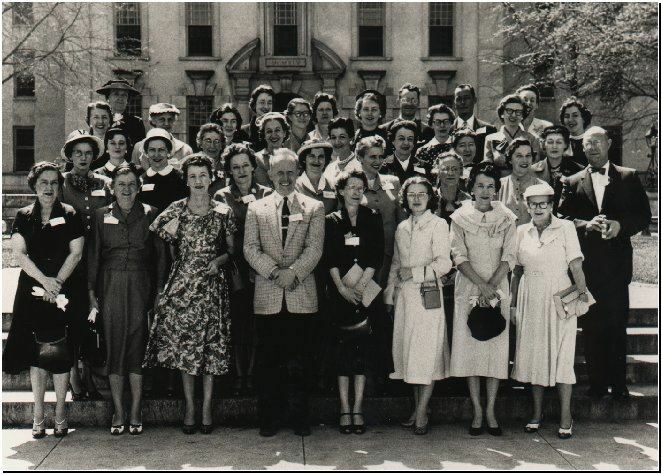 The Medical Library Association has its own oral history project. The Southern Chapter works closely with the MLA project where our interests overlap. When a candidate meets the MLA oral history requirements, his or her name is forwarded to the appropriate MLA contact. The interview and related materials will be maintained in the Southern Chapter archives. All interviews are shared. Each interview begins with a short recollection of where the candidate comes from and how he or she became interested in librarianship. The main body of the interview covers jobs and institutions, the evolution of the candidate's relationship with the Southern Chapter, and his or her memories of Southern Chapter conferences and major events that shaped the Chapter. For an individual who has had a distinguished career but does not meet MLA requirements, the Southern Chapter will conduct the oral history interview. Accepted oral history techniques are employed to collect and preserve Southern Chapter oral histories. Interviews are conducted and recorded by designated Chapter members. The recordings are then transcribed and edited, and all original materials are sent to the SC/MLA Archives for preservation. Any Southern Chapter member nearing the end of his/her career may be considered a candidate for an oral history. Suggestions for interviewees are sent to the History Committee by chapter members or by the SC/MLA Executive Board. If a candidate meets the requirements for the MLA Oral History Project, his/her name is forwarded to the appropriate MLA contact. MLA will then be responsible for conducting, recording, and preserving the oral history interview. A candidate who has not been a member of SC/MLA, but who has made a notable contribution to the chapter, may also be considered for the SC/MLA Oral History Project. The individual should have served at least fifteen years as a medical librarian or have been affiliated with the profession. An individual who has made significant, but unofficial, contributions may also be considered. The individual should have been an active member of SC/MLA during the majority of his/her career. SC/MLA officers are given close consideration. If the above criteria are met, a designated Southern Chapter member will conduct the interview, after obtaining the interviewee’s signature on the Chapter Consent Form for Oral History Interview. All members of the Southern Chapter are encouraged to participate in the Oral History Project as interviewers or to suggest names of persons to be interviewed. For more information or to provide suggestions, contact a member of the SC/MLA History of the Southern Chapter Committee.